If you collect stamps then you should be a member of a stamp club! Stamp clubs provide their members with the opportunity to meet with like-minded people and to share information about their hobby. They are also a great source of stamps for your collection. 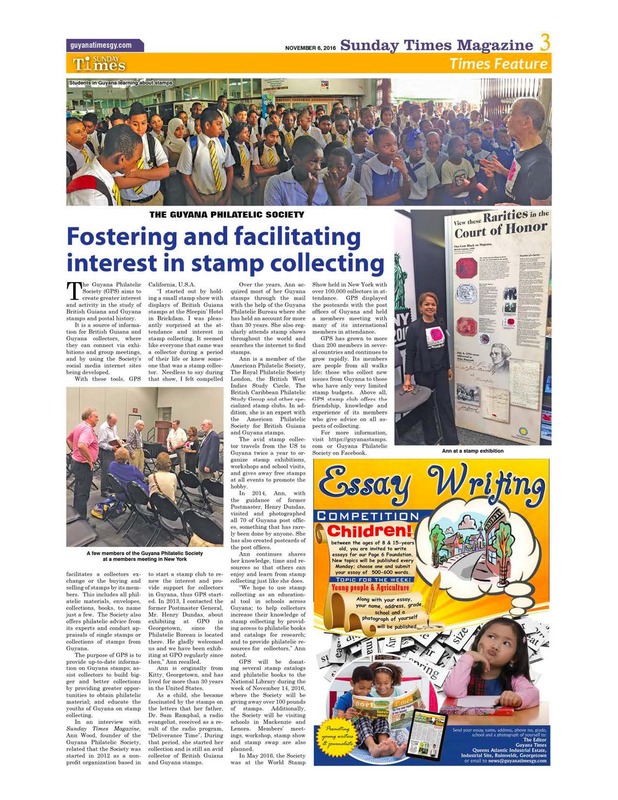 The Guyana Philatelic Society offers the knowledge and experience of our members who are here to help you with your stamp collection. The GPS Team visited Saraswatie Vidya Niketan Secondary School in Cornelia Ida, West Coast, Guyana promoting stamp collecting. Over 400 students attended and demonstrated very keen interest. They were rewarded with free stamps and at the end of visit the motivated students submitted a significant number of applications for membership. Some of the attendees at our membership meeting and workshop in Georgetown, Guyana.